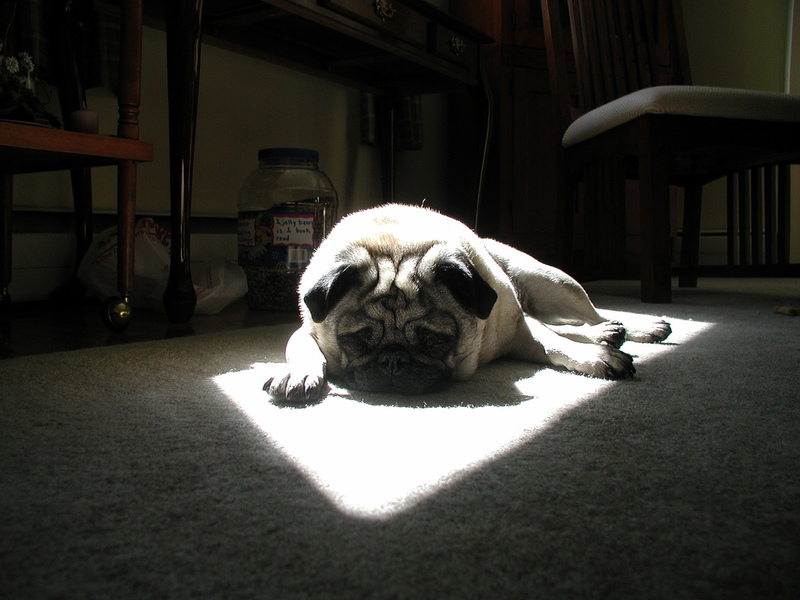 Our Saturday is off to a slow start, but sometimes it’s nice to enjoy a lazy weekend morning with your pug. Nickie seems to be having fun, and we can worry about all those errands and to-do lists later this afternoon. Here you see our pug looking quite majestic and determined as we share with her our grand plans for the weekend ahead. We think she’s ready to take on the world (or at least the pet store and a bath). Warm, sunny weather is finally on the way for us today after a long spell of cold and gray days, so this is definitely appropriate. We can’t wait to take Nickie for a nice long walk after work! We gave Nickie her usual treat this morning after going outside, but then she started acting like we had forgotten to give it to her at all. Here she is begging for more treats and maybe looking a little offended that we wouldn’t give her another. It’s for the best little pug, it’s for the best. All this winter weather is making us feel like we should just be hibernating until it’s warmer. 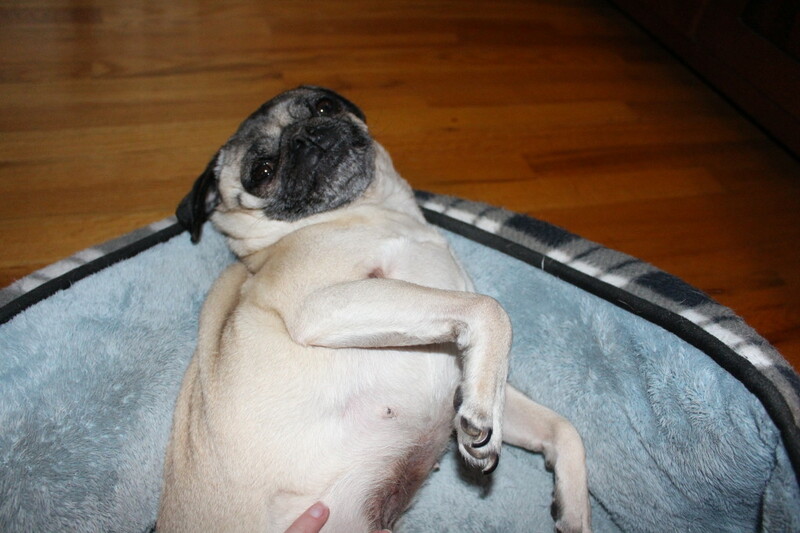 We asked Nickie this morning if she would be up for snuggling up and sleeping all day, and this was her response. Pretty sure she’s in. Queen Victoria was one of the most well-known royal pug enthusiasts. 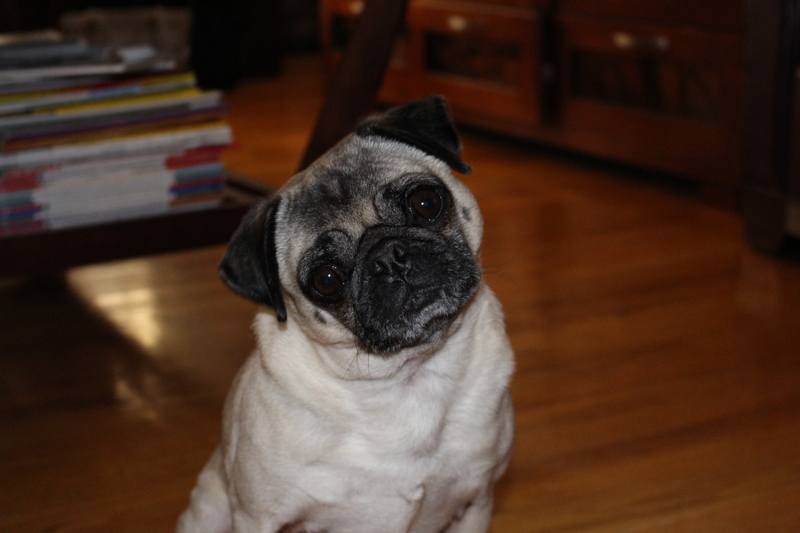 She had kept 36 pugs and was also a pug breeder. 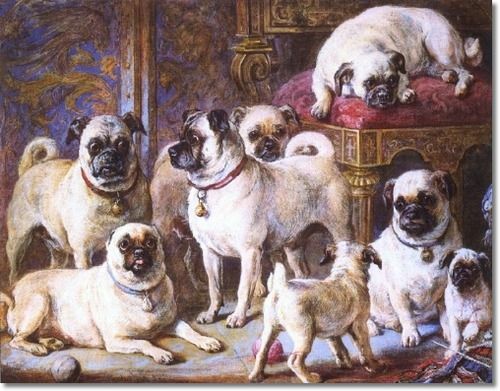 This is a lovely painting of Queen Victoria’s pugs by Gourlay Steell called The Drumplier Pugs, circa 1867. Though Mardi Gras is not nationally observed in the United States, it is celebrated with festivals, dancing, sports competitions, and parades in many other countries. A few cities in the U.S. do host festivities, and many of them are already underway this weekend. 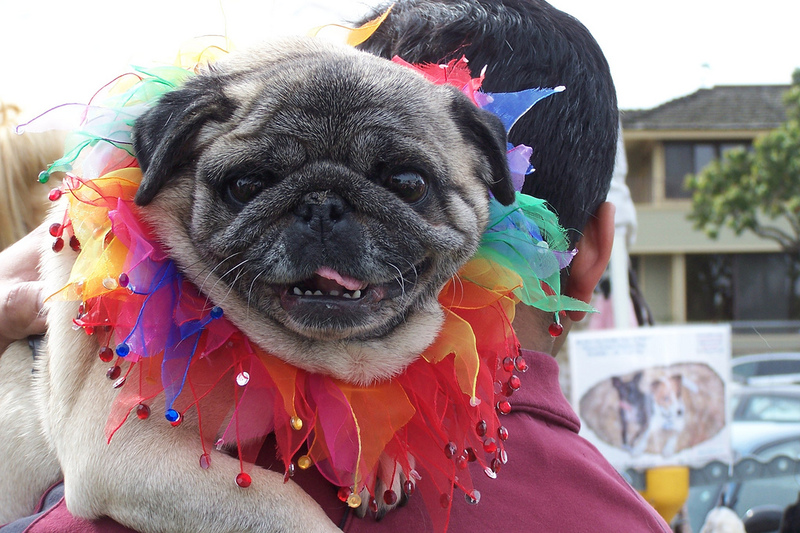 To get you in the spirit to celebrate, check out some of these Mardi Gras pugs! 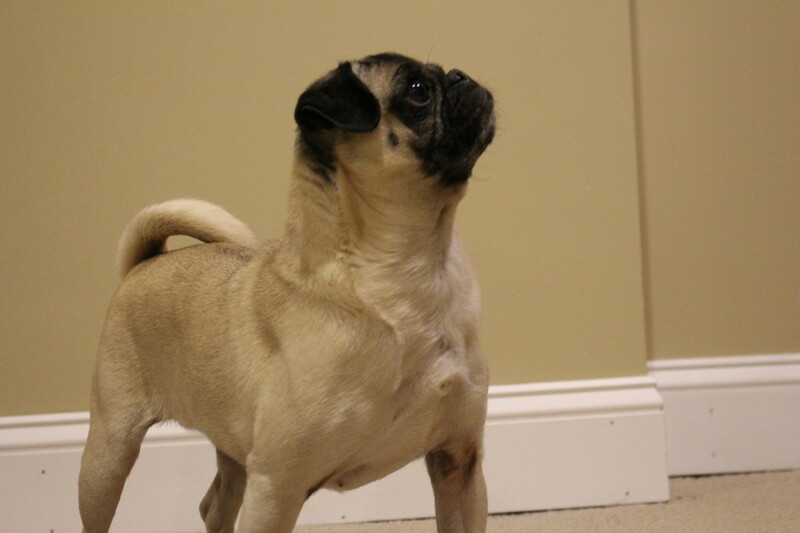 We are excited to introduce you to Chopper, the winner of our February Pug of the Month contest hosted on Facebook (https://www.facebook.com/AboutPug). 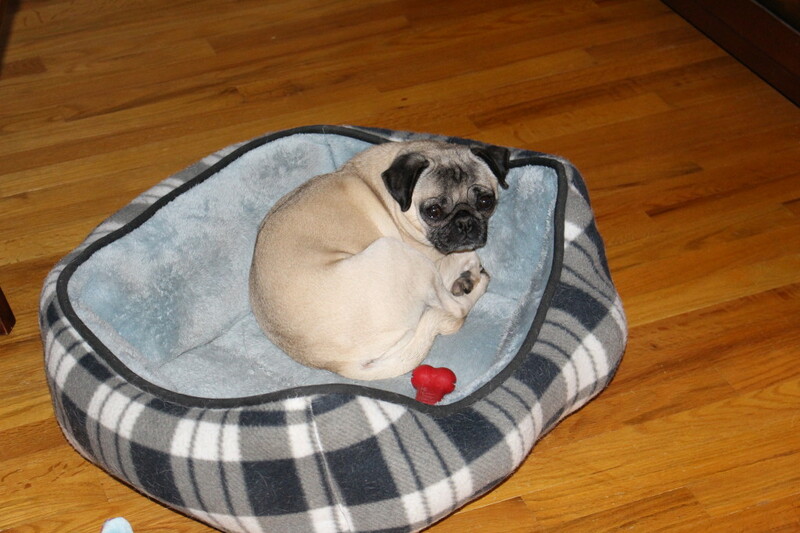 Chopper is a darling little pug who loves playing with his favorite ball. Congratulations Chopper! I think Nickie is just as excited about the upcoming weekend as we are. 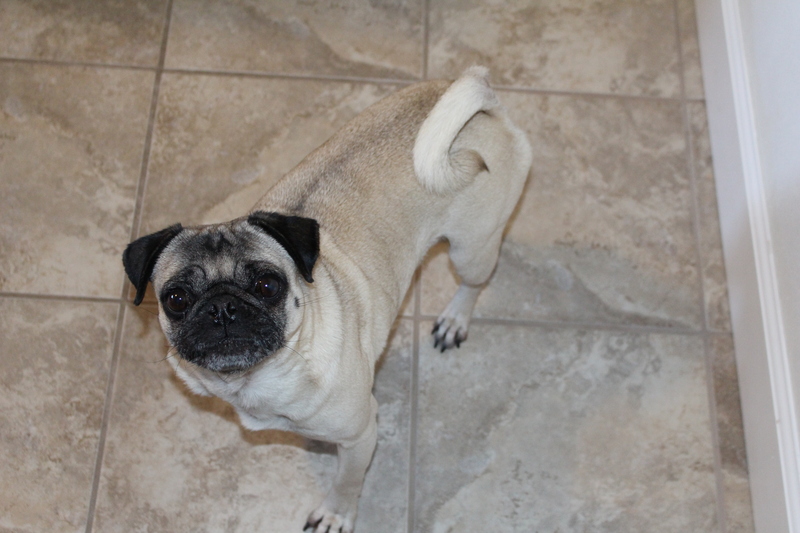 While we were getting ready for work, she graced us with a beautiful mix of weird pug sounds. 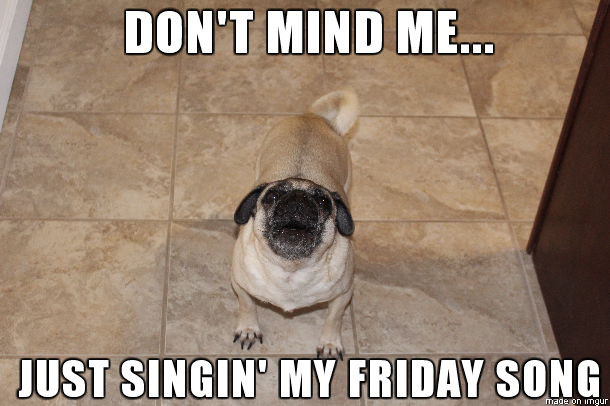 We like to think she’s just starting to celebrate the weekend a little early.